Ready to earn some extra cash? Wondering how to make money on the side? Check out the list below of over 100 easy ways to make money fast! Many of them you can do from home or online! 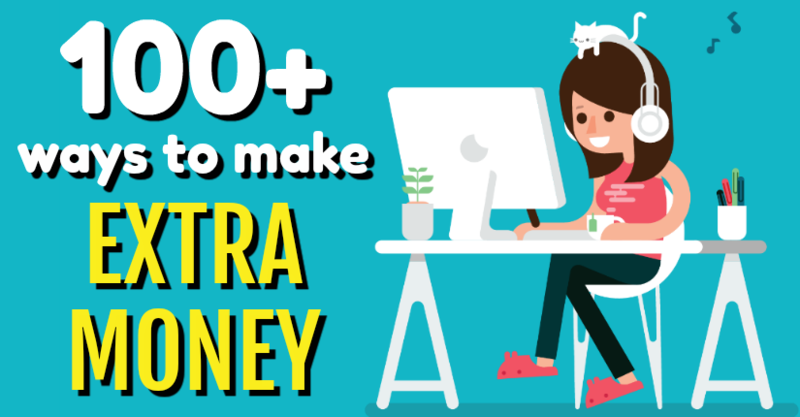 Obviously with over 100 ways to make money, this post is extremely long, so I recommend that you bookmark this post or Pin it and try a few ways to make money every day or week. We’re constantly updating this post with new ways to make money and also remove anything that doesn’t work anymore. So, how much do you want to earn? How much cash can you stack this month? $100 is easy — you only have to make $1 from each one of the items below — and $1,000 is definitely doable. Who knows? Maybe you’ll hit $5,000 or $10,000! 3. Become a virtual English teacher. 4. Get paid to go to stores. 5. Get paid to get gas. 6. Deliver food on weekends. 7. Use a free money-saving bot. 8. Get paid to have an app on your phone. 9. Rent out your spare room. 11. Make money with your social media skills. 13. Get paid to lose weight. 14. Check your credit score. 15. See if you can pay less for homeowners or renters insurance. 16. Get a free 401(k) analysis. 17. 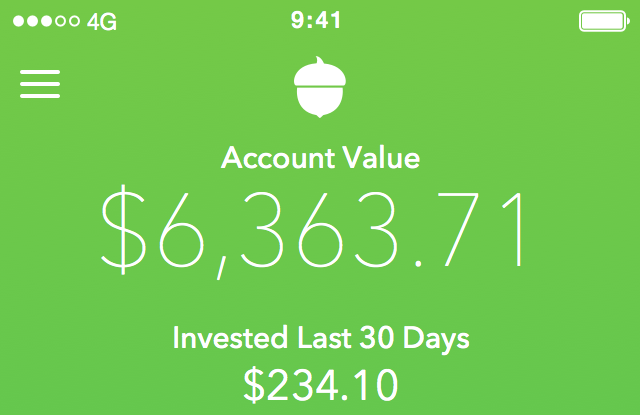 Track Your Wealth in Personal Capital and Get a $20 Bonus. 18. Invest in dividend-paying stocks and get a $5 bonus. 19. Lend money in $25 increments earning 4-6%. 20. Get paid to walk. 21. Get paid every time you search the Internet. 22. Get a $300 bonus as a new Lyft driver. 23. Get cash back on stuff you buy anyway. 24. Do voice over jobs from home. 28. Start an auto-Tweet business. 29. Start a drop shipping business. 30. Make money off other people’s Youtube videos. 31. Arcadia Power pays you to use less electricity. 32. Invest in cryptocurrencies like Bitcoin. 33. Join a work-from-home network. 34. Proofread documents from home. 36. Invest in cryptocurrencies like Bitcoin. 37. Create an online course. 38. Walk dogs through Rover. 39. Put money into high-yield savings accounts. 40. Get paid to watch TV. 46. Start a Consulting Business. If you have fluency in English, a Bachelors’ degree, and at least some experience working with children, then you can make $14-$25 per hour teaching English from home. Click here to apply to teach English from home! Click here to download this special app and start getting paid just for walking into stores! Delivering food can be a great way to earn extra money. Unlike driving passengers around in a rideshare like Uber or Lyft, you don’t really have to talk to people if that’s not your thing. You can be your own boss and set your own schedule. Click here to apply to drive for Postmates and start making extra money! It doesn’t get much more passive than that! You heard me right. Affiliate marketing involves promoting a product and earning a commission for every sale made through your recommendation. This practice can be incredibly lucrative because you can create multiple websites, each recommending a different niche of products, and reap the profits after they’re established. First, you need to pick a niche. Identify what problems in your niche need solving and what questions people are asking. Then, you need to set up your website. Sure, developing a website can sound daunting, but thanks to many resources available in 2019, websites can be created without any coding knowledge or experience. After your website is set up, it’s time to focus on content. Without quality content, customers will have no reason to visit your website or buy the products you recommend. Through informative, interesting content, you build trust with your audience, increase conversions, and establish yourself as an authority in your niche. Check out bloggingdoneright.com if you’d like to learn how to learn how we make money through affiliate marketing with our blog. Do you have experience with social media sites such as Facebook, Instagram, Pitnerest, Twitter, etc.? Then you have a very valuable 21st-century skill! If you know your way around social media, then you can make some major dough by promoting brands on social media. Companies are willing to pay ordinary people to help get the word out about their products and drive more sales. But the trickiest part of this industry is finding the right opportunities. There are a few resources out there to help social media pros land these opportunities, but the one we found to be the best is SocialSaleRep.com. They’ve been around for a while and have several proprietary partnerships with large corporations looking for social media experts. Click here to check out paid social media opportunities at SocialSaleRep.com! Selling Avon goodies such as makeup, hair care, and body products can be a good way to use any makeup knowledge you may have in order to make money on the side. Earnings vary, with 20% earned on sales seeming to be the reported norm. Click here to sign up to sell with Avon! While this isn’t directly a way to generate passive income, checking on your credit score and finding ways to improve it can passively grow your net worth. How so? Well, by simply increasing your credit score a little bit, you can, for example, pay less in interest, which will grow your wealth in the long-term. We’ve found that Credit Sesame is the best free website that can calculate and monitor your credit score. Similar to some of the other items in this list, this one is more about passive savings than passive income. If you’ve ever worked in corporate America, you probably have a 401(k) retirement plan through your current or former employer. And while your 401(k) is generating passive income for you, it’s possible that it’s not optimized for the best performance. Just improving your returns by 1% a year can make a huge difference. Let’s say you have $50,000 in your 401(k), and it will earn you 6% over time. Increase your returns so that you earn 7% a year will mean over $65,000 more in your 401(k) over 30 years’ time. A properly-optimized 401(k) can generate for you additional tens or even hundreds of thousands of dollars of passive income over time. That’s where Blooom comes in. When you sign up for Blooom, your 401(k) will immediately be analyzed, and you will be shown what kind of hidden fees you’re currently paying in your 401(k). Click here to get your free 401(k) analysis with Blooom. Personal Capital isn’t so much a way to make passive income as it is to manage your passive income sources. Now, in the old days, if you wanted to lend money to somebody in particular, you were taking on a pretty risky business, unless he or she put up some form of collateral. But now, thanks to technology, you can spread out the risk by only lending your money in $25 increments. Such an arrangement would have been administratively impossible just 15 years ago. But thanks to the wonders of the Internet, it is now very possible, and the peer-to-peer lending industry, as it’s known, is thriving for borrowers and investors alike. Ever si4ce I got into a last year, we’ve been a 1-car household. Therefore, I take Lyft all the time. The fact of the matter is that there are more riders on the road than ever. What this means for you, side hustler, is that driving is a great opportunity — and you can earn money on your schedule. Oh, and if you sign up to drive through our Lyft $300 Bonus Link, you’ll get a $300 bonus after completing your 100th ride! One way to create passive income with no money is to get paid for doing things you do anyway, like going shopping. Get paid every time someone uses your slogan! Passive income! Click here to learn more about earning passive income from slogans. Then you can make a somewhat passive side income licensing your photos online for others to download. Click here to learn a step-by-step system for earning passive income with Kindle publishing. The best part is that you can set your tweets on autopilot (“auto-tweeting”), meaning that auto-tweeting could potentially be a decent stream of passive income for you. And the good news is that you can eventually grow your drop shipping business to the point where it’s on auto-pilot, making it a profitable stream of passive income for you. If that’s not passive income, I don’t know what is! Click here to start getting rewarded for saving energy! I would recommend only investing in cryptocurrencies after you’ve invested in more stable passive income opportunities such as stocks and real estate. Work-from-home networks are free-to-join services that match people with the top work-from-home opportunities that best suit their availability and income goals. No matter if you only have an extra 1-5 hours a week to commit or 30-40 hours, there are opportunities in the network for you. If you’d like to join a top network to see what opportunities are available for you, click here to sign up. Are you a grammar Nazi or a spelling bee champ? Do you actually know the difference between “they’re”, “their”, and “there”? Do you find yourself shaking your head at grammatical errors you come across in everyday life? If so, then you’re a rare and in-demand breed. Click here to sign up for a free workshop on becoming a work-from-home proofreader. You can take your grammatical gifts and apply them to becoming a work-from-home proofreader. All you need are your grammar skills, a computer, and an Internet connection. Real estate is one of the classic forms of passive income: you own property, and others pay you for using it. Many people have become unlikely millionaires by investing in cryptocurrencies, and the concept of cryptocurrencies is not without merit. If you would like to receive a $10 bonus to start investing in Bitcoin and other cryptocurrencies, please click my Coinbase $10 Sign-Up Bonus Link to buy some right now (the markets are 24/7). Related:[$10 Bonus] I Finally Bought Some Bitcoin. Here’s Why. This is basically tutoring on steroids. Also, an online course has the potential to become an incredible passive income stream since you only have to put in the work once to profit forever. If you’re interested in creating an online course, I recommend you click here to sign up for a FREE webinar on how to launch your own profitable online course. Yeah, this one’s pretty boring and doesn’t have the pizzazz as the others, and you won’t make nearly as much money. But it’s also the least risky by far. We recommend Capital One. They have no fees, a 0.75% APY on savings accounts, and will give you $25 for opening an account if you deposit at least $250 at account opening. Click here to open up your no-fee checking or savings account now! Believe it or not, there is a company out there that will pay you to watch TV. This company is called Swagbucks, and you can get a $5 sign-up bonus if you sign up through my Swagbucks $5 bonus link! Did you know that you can make money in real estate with no money down? Confused? Don’t be. There’s a 21-year-old guy who makes over $1,000,000 a year doing this. Click here to watch his 70-minute training video. Consulting is incredible because you are simply taking knowledge that you already have and sharing it with others for a profit! I personally know people who left their W-2 jobs an to launch a consulting business and within 2 years were netting over $100,000. One of them grew his business to over $1,000,000 within 5 years! When it comes to launching an online consulting business, there is perhaps no greater teacher than Anik Singal. And for a limited time, Anik is offering a replay of his Lurn Summit to Money Done Right Readers for only $1. Click here to learn more about Anik Singal! If you’re somewhat decent with numbers, you can start an at-home bookkeeping business with absolutely no training in accounting or bookkeeping necessary! What with so many small businesses forming every year, bookkeeping is an extremely in-demand skill set that doesn’t require much training to learn. If this sounds like something that interests you, then click here to check out a FREE 3-part video series Bookkeeper Business Launch: How to Start Your Own Virtual Bookkeeping Business and Earn $80+/hr Without Going Into Debt. If you have a smartphone and an Instagram account, you could be making up to $200 per day. The trick, of course, is knowing what kind of photos to take to make the most profits and where to sell them. It’s really not that hard when you learn how to do it. Click here to learn how to make money on Instagram. When it comes to making money online, it’s actually easier to get started with apps than with strategies such as Facebook ads or Internet marketing. And at the end of the day, it’s not too difficult to come up with a profitable app idea. The issue is in the execution, that is, actually creating the app for people to download. That, of course, is where training comes in. Click here to learn how to make phone apps for profit. You can turn your solid writing skills into an extremely lucrative work-from-home career. With emojis and texting taking over our daily communication, it’s becoming more and more difficult to find people who can communicate effectively in writing. And so they can charge a premium for their skills. Every day, there are literally millions of pieces of content published online — and every single one of those pieces needed someone to write it. Click here to learn how to get paid to write at home! Virtual assistants help people and businesses do things online. All you have to do is know how to use the Internet! Your tasks could be anything from proofreading articles to curating social media content to managing a calendar. And there are dozens of other ways to make good money working from home as a virtual assistant. 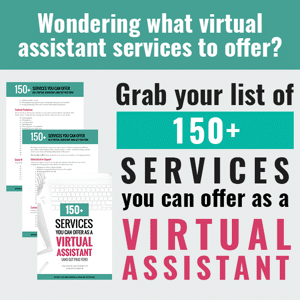 Click here to grab your FREE list of over 150 services you can offer as a work-from-home virtual assistant! If you like people and are passionate about helping others, starting a life coaching business from home may be right for you. Not only is this online business idea extremely profitably, but it can also be extremely satisfying knowing that you are providing others with the information they need to better themselves. Click here to learn more about starting a life coaching business from home. Freight brokers help shippers that need to move freight from point A to point B by finding a carrier (trucking company) that will haul the freight for slightly less than the shipper is willing to pay them. Brokers earn between 10% and 35% profit per shipment they broker, which translates to approximately $100 to $500 per shipment. Although you may only start off getting 1-2 shipments a day, experienced brokers can do as many as 5-10 shipments a day. And the best part is you can become a freight broker from home! Click here to learn more about becoming a freight broker. Did you know that over 2 billion T-shirts are sold every year? It’s true! Think about how many T-shirts you own. Probably at least a dozen or two, right? And consider the fact that every one of those T-shirts had a designer who was paid handsomely for his or her creativity. And just one or two T-shirts that you design today could provide you with passive income for years to come! And you can get started designing T-shirts from the comfort of your own home. That’s right. Somebody else can handle for you all the production, inventory, and shipping. Click here to learn more about making money selling T-shirts online. Did you know that over 250 companies are currently paying people to assemble their products from the comfort of their own home? It’s true! They need workers to assemble products from crafts to jewelry to direct mail packages and more! The company will ship you the materials as well as step-by-step instructions, and then you get to work assembling the product! It’s kind of like LEGOs for adults, except you get paid for it! Click here to learn how to get started with your product assembly business. Thousands of companies need work-from-home data entry workers. They don’t want to have to pay for people to come into the office for something they can do at home. See, when workers come into an office, the company has to rent space for them to use and provide facilities such as air conditioning, restrooms, etc. They would rather people simply work from their home for data entry tasks, so there are plenty of opportunities for this kind of work. Click here to learn how to get started with a data entry business. Ticket brokering used to be associated with scalping. It used to be a long, tiring process that involved a lot of driving and having to show up to events hours before they started to sell your tickets. Well, that’s not the ticket broker game anymore. Now, you can launch your own ticket broker business from home, getting the best tickets and selling them for major profits on Stubhub and Ebay. Click here to learn how to start an online ticket broker business. Many people think that travel agents have gone the way of the dinosaur. Not true! Now, to be honest, people don’t need a travel agent anymore to book flights. The majority of flights these days are booked online. But did you know that 70% of cruises are booked through a travel agent? Also, those who spend the most on cruises (senior citizens 55+) aren’t very computer savvy and prefer communicating with a human being. That’s where you come in with your work from home travel agency business! Click here to learn how to start your own home-based travel agency business. Do you know stuff? Of course you do. Then consider sharing your knowledge with others and getting paid for it! Of course, you can find people to tutor the old-fashioned way by posting in your local classified section, but the Internet has made it extremely easy to create a profitable online tutoring business. You can set your own hours, taking on as many or as few students as your goals and schedule allow. Click here to learn how to start a tutoring business online. If you know a language other than English, you’re a hot commodity, my friend. In fact, the United States Department of Labor expects that the demand for interpreters and translators to increase by more than 28% by 2024. Click here to learn how to launch your own translation business. You can make a killing making dog bones because (1) pet products is a $65 billion industry and (2) your competition will be slim. As dog owners become more and more picky about their pet’s health, they are becoming less content with the standard, mass-produced dog treats that can be purchased at the grocery store. That’s where you come in with your unique dog treats and bones! Click here to learn how to start a dog treat baking business from home. Do you love the smell of freshly-cut wood? Do you have a little workshed or maybe a garage where you can launch a new business? Then making money from home as a woodworker may be just the job for you. See, more and more people every year want “handcrafted” items and aren’t happy with store-bought furniture. And they are willing to pay top dollar for such pieces! Click here to learn how to start making $90,000 – $150,000 with a woodworking business from home. If there’s one thing that people will never stop paying for, it’s getting together with family and friends. We’ve known for years that paying tens of thousands of dollars for a wedding isn’t the greatest financial move. Wedding planning, and event planning in general, is a booming business and will be around as long as people like nice gatherings with family and friends. Click here to learn how to start your own event planning business. Cleaning office buildings is not the most glamorous job — and that’s exactly why the opportunity is huge. I’m not talking about big high-rises. The owners of these buildings typically offer cleaning services to the tenants. I’m talking about the small office and industrial parks. Often, each business in these kinds of spaces is responsible for cleaning their own office. And the job typically falls on some disgruntled employee who does a crappy job, leading to low morale in the office. This is where you can help with your office cleaning services. Click here to learn how to start your own office cleaning business. Go pick up five random objects in your house. I guarantee that at least one of them (if not all of them!) was manufactured overseas. We don’t think about it in everyday life, but there are people making big money importing products like these from other countries as well as exporting American-made products around the world. Who knows? Maybe the next big import/export profiteer will be you! Click here to learn how to start your own import/export business. If you’ve ever seen Forrest Gump, you know how profitable Shrimp Farming can be. Click here to learn how to start your own shrimp farming business! You can make money selling honey produced by your own bees! It’s true! These days, people aren’t happy with the big-brand store-bought honey. They want something with a personal touch. That’s where you (and your bees) come in! Click here to learn how to start your own beekeeping business. You can make money caring for other people’s houses! Not only do you get free room and board, but you also get extra cash! And while you’re at your clients’ house, you can spend your free time working on another business idea from this list. Multiple streams of income, baby! Click here to find house sitting opportunities near you. The cryptocurrency market is extremely volatile, meaning that the prices of various cryptocurrencies such as Bitcoin and Ethereum go up and down constantly. This means that while cryptocurrency may not be a stable investment in the long term, there is plenty of profit to be made in the short term by taking advantage of these price swings. Howeve4, you have to learn the key cryptocurrency trader tactics if you expect to make money. Click here to learn how to become a cryptocurrency trader. Now, you will not start out working with top NBA, NFL, or MLB stars, but you may be able to get started with some lower-league players and work your way up the ladder. Click here to learn how to start your own sports agency business. Do you know how many lawns exist in your city or even your neighborhood? Tens if not hundreds of thousands! And each one of these lawns needs somebody to take care of it. Sometimes, it’s the person who lives in the property or owns the lawn. But oftentimes, upkeeping the lawn is hired out to a third party like you. If you enjoy the outdoors and making yards look nice, starting a lawn care business may be perfect for you. Click here to learn how to start your own lawn care business. This may sound a bit gross, but there’s actually a high demand for worms. And you can raise them from your own home! Click here to learn how to start your own worm farm! A little-known online business secret is that the Internet embroidery business industry doubles itself every decade. So if you know your way around a needle and thread, starting a home-based embroidery business just might be the right idea for you. Click here to learn how to launch a work from home embroidery business. Believe it or not, there is a huge opportunity in the pool hall business. See. most pool halls are dirty and smelly and are closing down at a rapid pace. Today’s consumer simply doesn’t want to go to a nasty dive pool hall. But if you can outsmart the competition by creating an attractive, top-of-the-line pool hall, you can make a killing. Click here to learn how to open your open pool hall business. The non-emergency medical transportation industry is booming thanks to aging Baby Boomers. What is this industry, you ask? It is the business of transporting people in wheelchairs, stretches, or those ambulatory who need assistance. You do not need any special skills, training, or equipment to get into this rapidly-growing industry. Click here to learn how you can start your own medical transportation business. Do you want to change people’s entire lives for the better? Are you a naturally organized or even OCD-type person? There are tens if not hundreds of thousands of dollars to be made in the personal organizer business. As a personal organizer, you will help people get not only their stuff organized, but also their lives. Click here to learn how to start your own home-based personal organizer business. Rare coin trading is an extremely profitable field, and as such many people think you need to break into it you need to be some nerdy coin expert with thousands of dollars in the bank. The fact of the matter is that you can start investing in rare coins with a mere $100 and no experience in coins whatsoever! Click here to learn how you can get started trading rare coins for profit. It is estimated that one in three computers contains malicious software. And most of the time, this software goes undetected! People just think their computer is getting old and slow when really they have unwanted software slowing down their CPU. And they’re willing to pay somebody to fix the problem! Click here to learn how to start your own computer security business. Keeping and raising ornamental fish (including koi) is the #2 hobby in the world, second only to Photography. Nearly 13 million households in the U.S. currently keep ornamental fish. This presents a huge opportunity to those willing to breed these beautiful fish from home since the government has recently imposed a significant amount of red tape on imported koi. Click here to learn how to start your own koi farm business. If you’re passionate about crafting, then starting your own craft business selling your items over the Internet, from home, could be in your future. But as with any business, you have to treat it like a business, not a hobby. Click here to download your free report “Top 10 Questions About Starting Your Own Craft Business Answered”. The United States is the largest jewelry market in the world, and millions of Americans have old, broken, or just out-of-fashion pieces of jewelry sitting in their jewelry boxes. Your mission, if you choose to accept it, is to acquire these pieces of jewelry and resell the gold for a profit! Click here to learn how to launch a gold selling business. Gift baskets, if put together correctly, can wow clients and friends alike. And the margins on them can be incredible because you can buy the items that go in the basket for very cheap, but sell the gift basket itself for a lot more. You know how expensive gift baskets are, right? It’s all about the packaging (literally)! Click here to get your free mini-course on starting a gift basket business! Photo booths are often the center of attention at events such as weddings and other parties. And guess what? You can build your own photo booth from scratch, even if you aren’t a very handy person. Once you have your photo booth set up, it’s off to the profit-earning races! Click here to learn how to start your own photo booth business. Italian ice is hot, hot, hot (not literally of course)! Most Italian ice push cart owners only work on the weekends, and many only work on specific days such as special events. Click here to learn how to start your own Italian ice business. A generation or two ago, everybody bought big-brand cleaning products at the store. People didn’t have much choice. Nowadays, however, people are much more picky with their soaps and cleaners. They’re concerned about finding natural products without harsh and potentially cancer-causing chemicals. And they’re willing to pay you for your homemade cleaning products. Click here to learn how to start a cleaning products business. Edible arrangements are lovely fruit bouquets typically given as gifts. And they typically have excellent profit margins! Click here to learn how to start your own edible arrangement business. As the public grows more and more aware of the limited resources our planet has to offer, salvage and recycling business will become more and more profitable. Click here to learn how to start your own salvage and recycling business. Strategically-placed, well-stocked vending machines are an excellent source of passive income. The machine does the work for you! You don’t even have to be there! However, you must know what to sell, where to sell, and how to sell. Click here to learn how to start a vending machine business. If you know how to swing a hammer and crank a wrench, a handyman business might be right up your alley. People will always need repairs done around their homes and businesses, so this is a business with very steady prospects. Click here to learn how to start your own handyman business. Property caretakers are people such as estate managers, ranch hands, and groundskeepers who take care of a large property for the owner. If you enjoy being in the outdoors and working with your hands, this could be the business idea for you. Click here to learn how to start your property caretaker business. I personally know a roofer with an 8-figure business. Now, he’s been doing this for 20 years, but my point is that roofing is an extremely lucrative field. And it’s not unheard of for new roofing businesses to net six figures within their first few years of business. Click here to learn how to start your own roofing business. I won’t say too much about this one, but let’s just say that there are some very lonely men out there! Secret shoppers are needed to visit and rate various retail stores, restaurants, and services throughout the country. All you need is an eye for detail and a love of shopping and eating out! Click here to learn how to start a mystery shopping business. If you can play guitar reasonably well, communicate with confidence, and demonstrate patience, then you could possibly make a living teaching guitar. But it’s not just about teaching a few kids some basic chords. You have to know the business aspect. Click here to learn how to start your own guitar teaching business. Click here to learn how to start your own window tinting business. Bugs are (perceived to be) icky. And most people would rather pay someone else to deal with an infestation than deal with it themselves. Click here to learn how to start your own pest control business. Owning and operating a hookah bar is extremely fun and extremely profitable if you know what you’re doing. Click here to learn how to start a hookah bar. Publishing a book is a lot easier these days than it was even 20 years ago. See, these days we have things like Amazon Kindle where practically anyone can self-publish their own books. Click here to learn how to create your own scrapbook business. Every property owner in the country is convinced they pay too much in property taxes. But they feel helpless to do anything about it. That’s where you come in with your property tax appeal business. You will be able to help your clients lower their property tax, and they will pay you handsomely for it! Click here to learn how to start your own property tax appeal business. And you can enjoy incredible margins by buying kernels and spices for a fraction of the $9 per bag people are willing to pay! Click here to learn how to start your own popcorn business. Juicing is a big business. From everyday people looking to lose weight to those who seek a juice cleanse to those who simply want a delicious, healthy, and refreshing beverage, your client base is massive and recurring! Click here to learn how to start a juicing business. There’s a lot of money to be made in flea markets and swap meets, but most people are just doing it wrong. Learn how to do it right, and you could have a six-figure business on your hands. Click here to learn how to start your own flea market business. If you have a cause you’d like to champion, then starting a non-profit business may be right for you. And yes, there is still money to be made with a non-profit business! Click here to learn how to start a non-profit business. I’m not talking about designing business cards. I’m talking abut a business where you help business owners distribute their own business cards. Yes, many business owners are willing to pay you to do this! Click here to learn how to make money distributing business owners’ business cards. Starting a party rental business can be extremely rewarding as you bring joy to the children! Potential ideas are renting bounce houses, party supplies, etc. Since some parents tend to splurge on their kids’ birthdays, you can be sure that you will most of the time have a steady stream of clients. Click here to learn how to start a party rental business. To start this side hustle, all you need is a bunch of balloons and a balloon pump. Once you figure out the basics, you can plop yourself down at anywhere where children are: public parks, malls, busy neighborhoods, etc. But must make sure that you get permission first! You may be required to get a permit or pay a small fee. Click here to get the Balloon Animal University Pro Kit. So maybe you’ve gone through the list above and concluded that starting a new business from scratch isn’t for you. That’s OK! You can still become a business owner by purchasing an already-established, cash-flowing business. Click here to learn how to purchase a profitable business endeavor rather than starting one from scratch. Hacking Services is needed by so many individuals but you haven’t come across anyone yet who provide you with these services. But worry no more if you see this message. COPE TECHS is an organization that provides Technology ease to individuals, we provide Hacking Services with the aim to help and not for Theft purposes. Now invite your friends(or strangers). Every 3 people that sign up you get $5-2000 in an investment account. Great post on how to make some money and those are actionable money making tips. We have also a lot of option to choose from. I had to drop a extra comment to say Thank you. Always had a passion to help others and finaly went for it and let me tell you what a roller coster! email series on How to Start your own Blog. It’s just starting for me but will get there with consistency and dedication. First time commenting on your blog Logan. Such a comprehensive list. I can imagine how long it could have taken you to come with this list. Thanks for this great article about making money. Who dosen’t want to make some extra money and to be able to do so from home is even better. After reading your article Im even more inspired to keep working on my own website. Great list! Nothing wrong with finding various streams of income. WOW thats a huge list!! So many great options here, thank you for this. You’ve given me quite a few ideas! Woah that’s a big list! There’s some really great, unique ideas on there as well, I’ve saved a couple of them to look into. Thanks for sharing! Wow that is quite a list you made here. I will make sure to check it when I need some extra money! Quite the list! You know I’m all about side hustles! Same here! Side hustles are great ways to make extra cash to save, pay off debt, and invest!